Today we are presenting Episode #10 “Flash Street Photography during the day”! You asked for this video in our Facebook page poll we held a few months back so here it is ladies and gents! If you haven’t watched them, give them a look. They are short videos between 5 and 10 minutes each, and they get straight to the point. If you enjoy them, please like them in YouTube, share them and subscribe to our YouTube channel. We appreciate all the support you guys give us on a daily basis! Thank you. 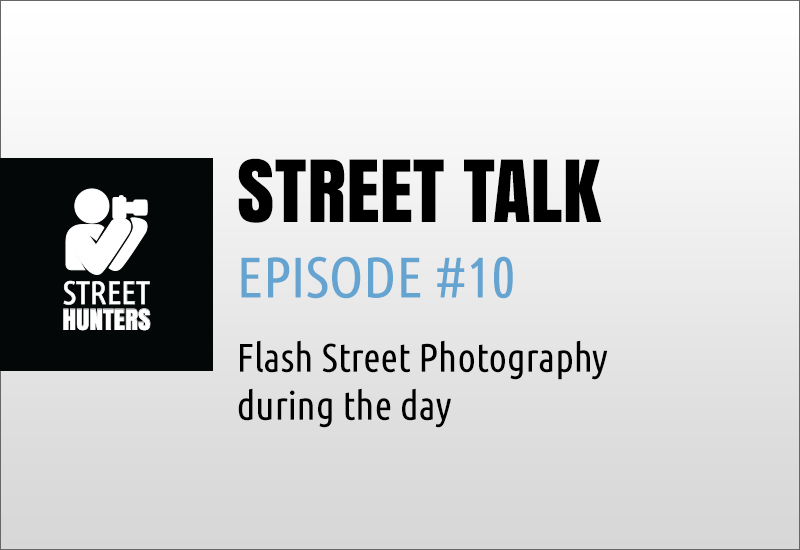 So, as I mentioned before, in Street Talk Episode #10 I talk about “Flash Street Photography during the day”. In this video you will see me discuss Flash during the day and I will be taking a short walk around town making a few flash street photos. I explain the basic theory behind this street photography technique and share my settings with you. I hope you like what you see! When you use a flash you have much more control over the light. This is a fact. If you practice and really get accustomed to this technique you can create surreal looking images with colours that pop! It is of course a more intrusive way of shooting, but on the other hand it is a more open and honest way of doing street photography since you are not hiding your intentions by being stealthy, rather you are shooting “in your face”. If you are interested in learning more about Flash Street Photography, you should check out our Workshops section and join one of our Flash Street Photography workshops taking place in Athens and London over the next few months.